Dating back to 1969, Honda's four-cylinder CB range has a proud history of centralised weight and strong engine performance. 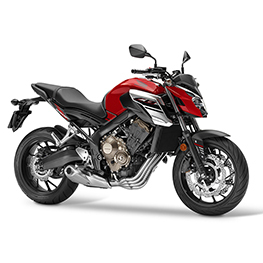 The DOHC, 649cc four-cylinder engine has been developed to deliver high torque through the low-to-mid rpm range and strong acceleration from a standing start. 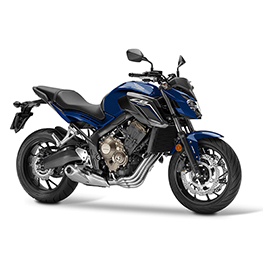 Positioned to sit forward in the chassis for optimal weight distribution, it is the true heart of the CB650F. PGM fuel injection is fed through a down-flow airbox and operates with information from four separate throttle body sensors on 32mm throttle bores for crisp and accurate throttle response. 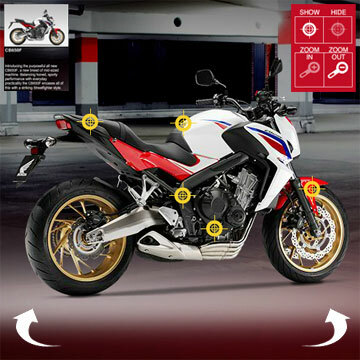 Why not visit the CB650F mini site to view the 360 degree view of the bike. CB650F.hondampe.com.au. 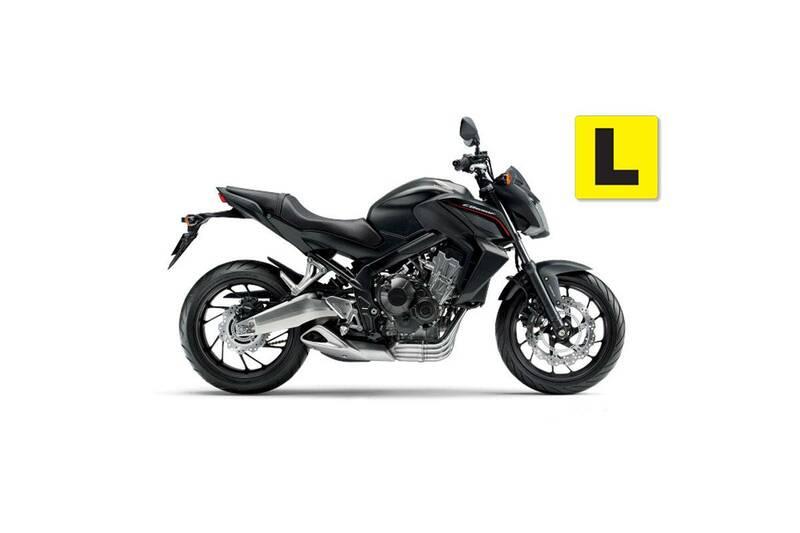 Please note, ABS is standard on Australian release CB650F models. A high-quality steel diamond frame has been specifically tuned to deliver the desired handling characteristics and appropriate level of rider feedback. The swingarm pivot plate is forged then welded together, while the gravity die-cast aluminium swingarm features a curved shape that arcs over the muffler. Adjustable 7-stage spring preload monoshock operates directly on the swingarm. The shock and 41mm telescopic fork have been developed to work directly with the frame’s performance parameters to provide supple, neutral control in all conditions. For reliable stopping power in all conditions the twin 320mm wavy front and a single 240mm rear discs are complemented on both models by standard fit ABS. Candy Chromosphere Red and Pearl Spencer Blue.